I decided I needed to look for a higher elevation campsite because of the heat. My nice shady site near Black Canyon was 90⁰ and maybe would have been fine if I could have sat outside in the shade & breeze, but the flies were voracious and had big sharp slashing teeth! So we went toward Gunnison, aiming for a campsite at Blue Mesa Reservoir (Red Peak CG) that my sources said was free, but it was actually $16 a night (half price with Sr. Pass). 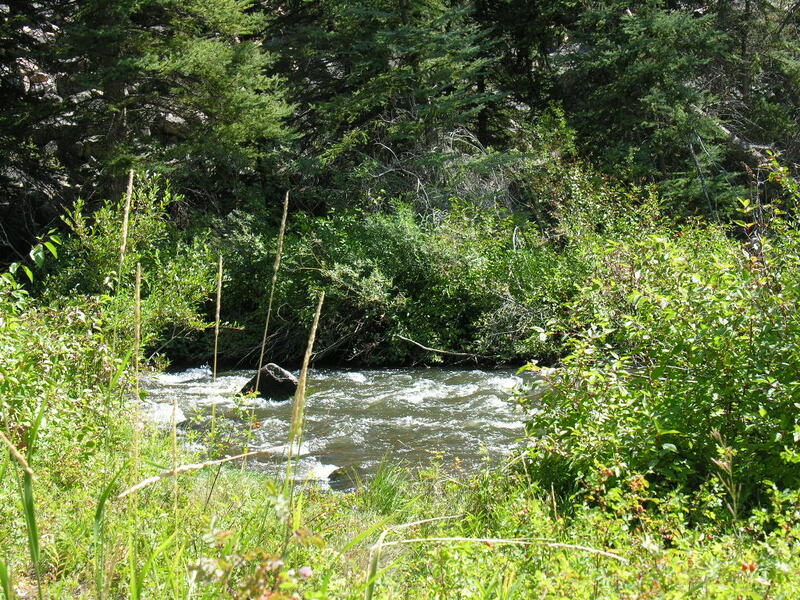 So I kept driving to Gunnison, and found a very nice free BLM site right on a beautiful little trout stream (I’ve seen a lot of fishermen already). It’s got some shade and I put my canopy out as well. It’s at 8800’ so should be cooler though right now my outside thermometer is reading 83 and I’m all hot and bothered from getting the camper set up. That’s still way better than the temps at the last site, and so far I haven’t seen any flies here, carnivorous or otherwise. I’m a little farther from town than I had hoped….about 23 miles back to Gunnison! But I only need to go to town once a week or so. I guess from here I’ll do a day trip up to Crested Butte. 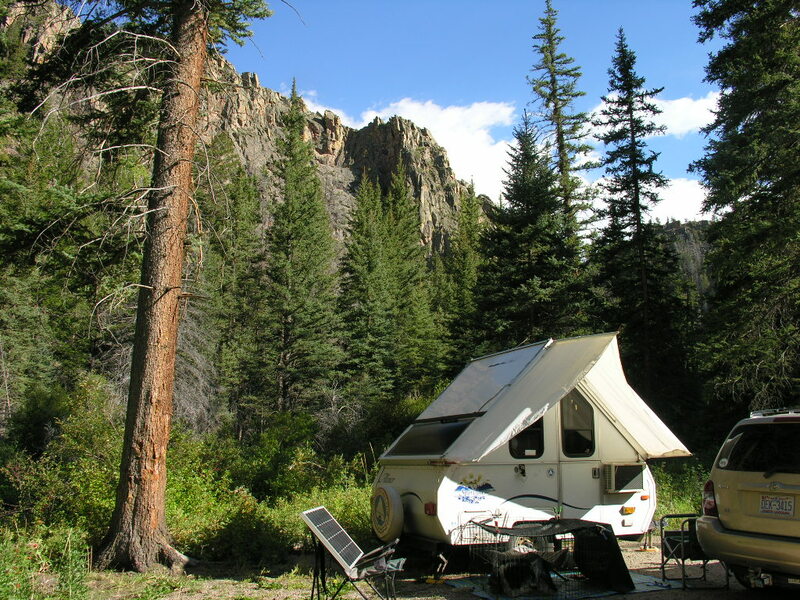 There are huge sheer cliffs on both sides of camp…beautiful! But it also means that the sun doesn’t appear until about 9:30 a.m. and it sinks behind the opposite cliff wall at 7 pm. That’s OK, maybe that means it’ll stay cooler. I’m so sad! My BonaVita coffeemaker broke this morning, and the replacement parts are Out of Stock. I had to go buy some instant cappuchino stuff….ick. Does anyone know what these berries are? I hope they’re not something that bears love, as they are everywhere here! Here’s the view from my side window…..NICE. I love listening to the stream. Thanks so much for using my Amazon link when you order goodies! I get a small percentage of each purchase and it doesn’t cost you anything extra. That little bit of extra income really helps! 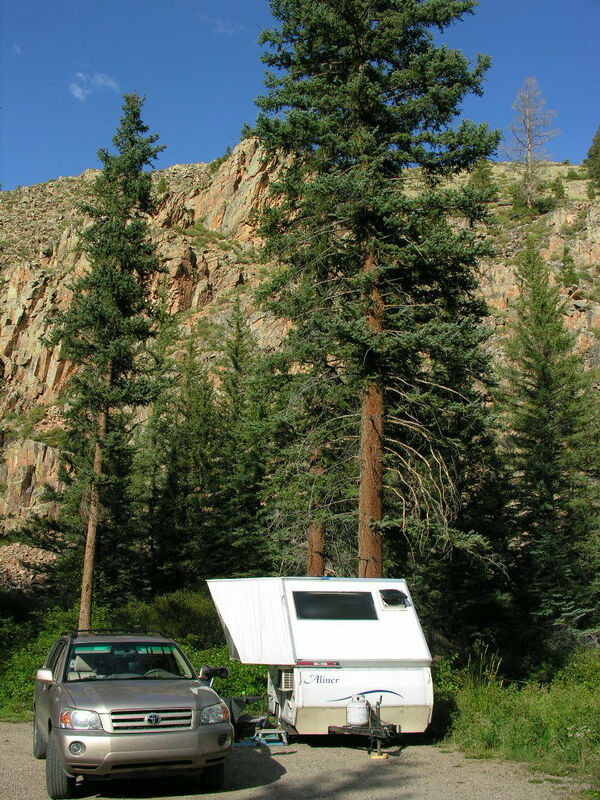 This entry was posted in Colorado, Uncategorized and tagged Boondocking Colorado, Boondocking Gunnison CO, Free Camping Colorado, Free Camping Gunnison CO, Full Time A Frame, Full Time A-Liner. Bookmark the permalink. Those look like rose hips to me. I can’t say bears hate them, because I don’t know; but I wouldn’t imagine they’d be a super attractor like berries or bacon. I don’t think they’re sugary sweet. 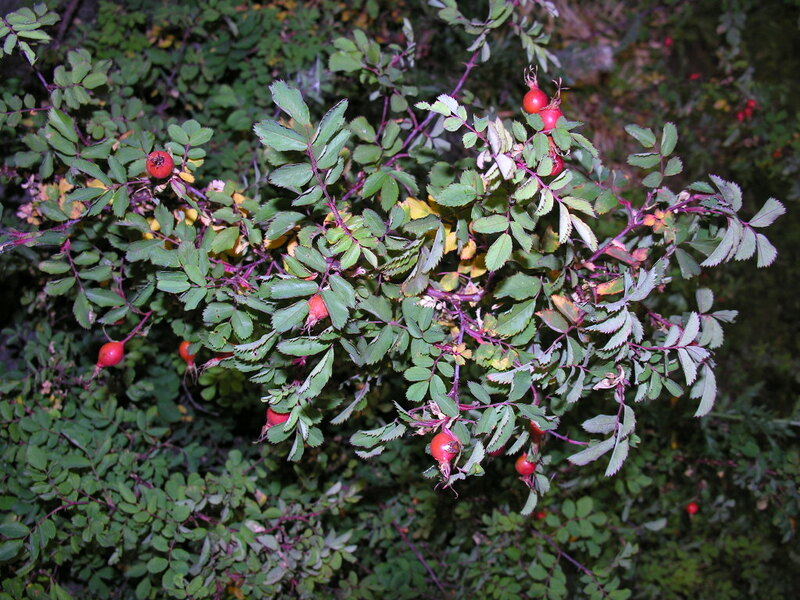 Those looks like rose hips to me too! Bears will eat em, but if they’re having a good year for berries in the area and elsewhere, bears might not invade your camp! Looks like you have found another beautiful site to enjoy and with a water view no less. Stay safe. Mellita cone and #4 filters. Just a few bucks, and you control the temperature. Enjoying following your journey. Always glad to find others with small campers. I don’t like the cone filters that just let the coffee go straight through without brewing….I’ll wait til I can get the part for mine. But thanks for the suggestion!